Frederick W. Fox of Opelika passed away on March 29, 2018 at his home. He was 84 years old. A memorial service will be at 11:00 a.m. on April 4, 2018, at the Jeffcoat-Trant Chapel in Opelika. The family will receive friends for one hour prior to the memorial service. Fred was born on June 12, 1933 in Glen Dale, WV to the late William C. Fox and Josephine Moore Fox. He was predeceased by his daughter Linda Eileen Fox; his first wife Mary McPherson Fox; his sister Nancy Trussell of Glen Dale, WV; and his sister Patricia Mills of Phoenix, AZ. Survivors include his beloved wife Jane T. Fox; his children: William T. Fox (Janice) of Walland, TN; Leigh A. Bertolino (Dave) of Dunwoody, GA; Lesley K. Gabel (Steve) of Qingdao, China; and his step-son Andrew Tisdale of Opelika. He was also survived by his two grandsons: Max Bertolino and Cole Bertolino of Dunwoody, GA; his sisters: Jane Rogan (Joe) of Fishers Island, NY; and Linda Workman (Dexter) of Moundsville, WV. Fred graduated from the University of Florida in 1954 and was commissioned in the Army. He served multiple tours in Europe and two tours in Vietnam. He earned an MBA from Babson College in Boston in 1965. He retired from the Army in 1977 as a Colonel. Following his retirement from the Army, Fred came to live in the Auburn-Opelika area. For several years he worked as an armament consultant for the U.S. Army and, along with others, started and operated the last commuter airline operating from the twin cities area. In the mid-eighties, Fred left Alabama and went to Indiana where he served as Vice President of the Tenth Pan American Games held in Indianapolis in 1987. Following the Games, Fred worked as Director of Emergency Communications for Marion County, Indiana. Returning to Alabama in 1989, Fred began the development and operation of assisted living communities in Alabama, a labor which occupied him for the rest of his life. 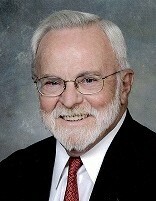 Fred was a past active member of the BBVA Compass Board of Directors and remained as an Emeritus Director. Fred was an avid hunter and enjoyed time hunting with his son, son-in-law, grandsons, and his many hunting friends. He was an avid golfer and loved to travel, especially in Europe. He also played a mean hand of poker. The family respectfully declines floral offerings and encourages donations to charities of choice. Jeffcoat-Trant Funeral Home and Crematorium will be directing.